We are famous Arka seeds supplier in Haryana, India. Our Arka seed developed for the first time in India, as a triple disease resistance variety seed. Fruits of this hybrid arka rakshak seeds are square round, large (90-100g), deep red with firm fruits and suitable for both fresh distances marketing as well as processing. You can sow them in soil in your own kitchen garden for your fresh veggies. The germination process of this seeds takes place from 10-15 days in a temperature of 18-25 degree Celsius. 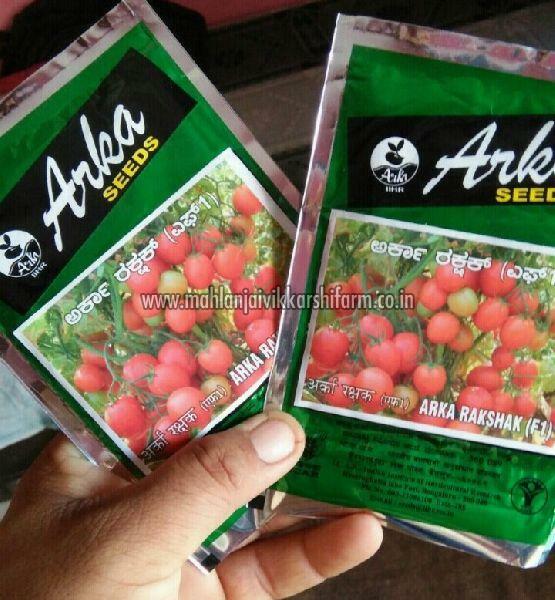 As a well-known wholesale supplier of Arka seeds in India, we provide best quality hybrid Red Arka seeds in Packet of 10 gms, with a shelf life of 8 months and cost of Rs. 800.